The market is filled with a variety of gun optics; however, gun users tend to experience challenges when it comes to choosing the best scopes for 300 blackout. The purpose of this article thus is to provide you with useful information that will help you buy the best scope for your gun. The 300 blackout is a highly rated cartridge that is becoming increasingly popular among many people because of its relentless grit to attain what is regarded to be a more powerful AR 15 cartridge. This popularity has led to the rise of 300 blackout optics, implying that a good number of options are getting into the market for users to choose. 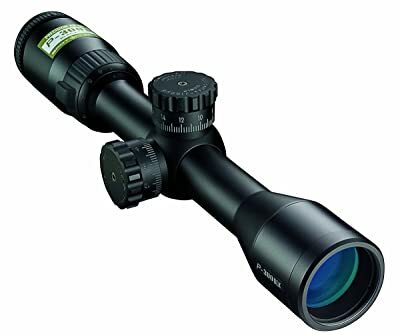 If you are interested in picking off deer, or any game within a radius of approximately 300 yards, then you need to consider getting a good quality scope for your firearm. This unit is arguably one of the best all-rounded scopes to have for AR 15 blackout. At a distance of 100 meters, you can get elevation adjustment in half inch click increments as well as a full 90 MOA windage. The Trijicon VCOG also has illumination electronics that are Mil Spec tough and is waterproof to about 66 feet. You get 700 consecutive hours of runtime when you set it at 4 or 6 together with a lithium AA battery. This unit also features Red horseshoe reticle that compliments with 55-grain .223 loads as well as a first focal plane that makes it possible for the ballistic reticle to be utilized at any given magnification. 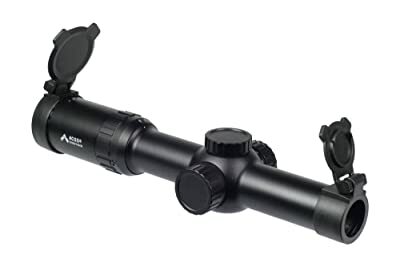 This is an ideal scope for hunting given that it provides high accuracy allowing for a suitable tactical approach. If you can meet the budget, then this Trijicon VCOG can be a valuable addition to your gun accessories. This optical equipment has a rugged construction and is free from parallax with unlimited eye relief and field of view. This system features integral mount that gets rid of the need for separating ring, and can also be modified using forward and vertical spacers to allow it fit in numerous weapons. The front lens has a unique coating that reflects dots selected frequency of almost 100% efficient red lights for highest possible brightness level but with least energy consumption. The adjustment caps are also enhanced so that it allows for easy removal and protection against impact. Besides, this unit also comes with some accessories including Kill Flash anti-reflection device, QRP2 mount, MILSPEC rubber lens covers and a standard AR15 spacer. Aimpoint also has an internal voltage regulator and large battery compartment. If you are working on a tight budget but still in need of an optical system that offers top notch quality on your 300 blackout rifle, then this should be your ultimate choice. This is also another ideal optical system that you may wish to use in your 300 BLK. The technology used in manufacturing this particular unit is fantastic and makes it possible for a dedicated shooter who cannot afford the highly expensive ones to at least have something they can use for their venture. One good thing about this Leupold VX-3i that makes it different from the others is the fact that it comes with mil turrets. This Leupold VX-3i also has a lockable fast focus eyepiece and Argon/Krypton waterproof and fog proof performance. 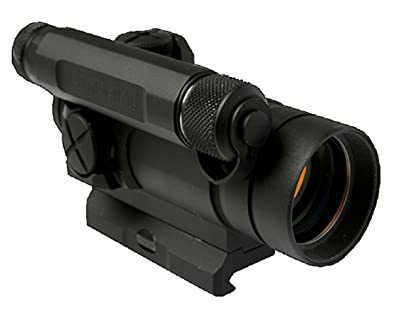 The construction is simple, rugged and durable and this scope is interestingly budget-friendly. It has abrasive resistant external lenses and a twin -bias spring erector system. The unit also comes with changeable turrets, which makes it easy for the shooter to easily move it between guns if they probably have multiple calibers. You don’t have to worry if you are an ardent 300 BKL shooter with less budget. This is a great equipment to have. This is the other superlative option that one looking for ideal scopes for 300 blackout may want to consider. Manufactured by Nikon, the P-300 BDC offers a rather quick focus eyepiece that enables the shooter to bring the reticle instantly to the desired focus. The adjustments for this unit are easy given that they are spring-loaded instant zero-reset turrets. The unit has also been enhanced for use with Nikon’s spot on ballistic match technology and fully multi coated optics to allow for light transmission and concentrated brightness. The other thing about Nikon P3 is that if features the all-new BDC super sub reticle constructed for supersonic and subsonic ammunition. 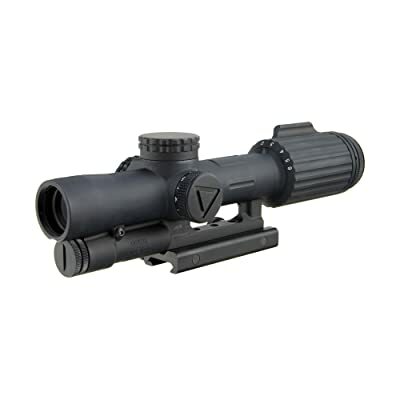 With its relatively traditional appearance, this scope is a suitable fit for a semi-automatic rifle. The fact that it is shock-proof also gives it an edge in using it in extreme terrains. This is another budget scope that you may consider for your 300 blackout. Ideally, the reticle for this unit has been designed for medium range and CQB shooting. It has a knob that helps in making 12 brightness settings that are used for adjusting the level of brightness getting into the reticle. The design helps in enhancing the ability of fast and accurate target acquisition at 1-5X power. 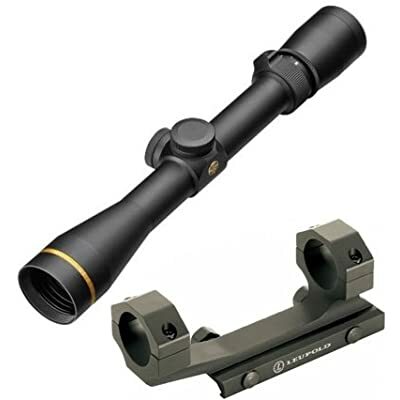 The material used in manufacturing this particular scope isstrong, hence making it durable. It’s waterproof and fog proof performances are also admirable hence can easily be used even in unfavorable conditions, but the results are still effective. Still, for someone who is committed to the shooting but operates within a tight budget. If you are for an ideal budget scope for 300 blackout, make sure you look no further than this one. This is a significant consideration never to overlook. The price range for scopes varies depending on various factors. But it is important that when you are buying one to ensure that it is worth the investment in regards to pricing. You can always get a scope regardless of your budget but just ensure that you get an ideal return on investment. The 300 blackout scopes are arguably very precise hence significant to understand the particular application you are going to use it for. Ensure that you know the intention of the particular one before deciding to make payment for it. If you are uncertain, feel free to contact an expert in such matters to give you guidance. It will help you in asking informed decision when it comes to choosing the best scope you 300 blackout. All types of weapons take a beating in one way or the other. Simply put, they are often involved in various tests that expose them to extreme conditions. An ideal scope needs to be one that can endure even the harshest conditions, especially if a significant amount of money has been spent on purchasing it. It is always important to ensure that when buying a scope for 300 blackout, check the specifications to determine whether or not they meet the qualities supporting durability. In any case, a durable one should be hardened and resistant to fog and water. From this review the 5 best scopes for 300 blackout, the Trijicon VCOG comes out as an outright winner. Apart from its price, which is overwhelmingly high, the features, specifications, performance, and output are high such that you get to exactly feel what it is like using this particular equipment when target shooting. Considering durability, value for money and close quarters, Trijicon VCOG offers the best than all the other four scopes that have been reviewed in this post.